Conventional banking is unacceptable to Islam for many reasons, not just because interest is a part and parcel of its operations. IF banking was the ambitious response of many Muslims to the challenge which Islamic rejection of conventional banking had necessitated. Since the response was concerned primarily with the elimination of interest in the legal sense, it has failed to remove the real evils of banking in the reformed versions of commercial banks they have created. The objective of elimination of interest has also been achieved, at best, only partially. It has been said that Muslims have no alternatives other than the interest-free banking they have already presented to fill the void which the withdrawal of conventional banking will create. This claim is incorrect at least insofar as the theoretical presentation of models is concerned. Alternative proposals can be found, among others, in the writings of Rabooy; Ahmad, S. M.; Ghamidi, Javed Ahmad; and Khan, Muhammad Akram. These proposals are substantially different from what has already become well-known as the model of Islamic banking. All these writers find themselves in disagreement with the popular version of IFBs and believe that radical changes are essential to bring the financial system of modern Muslim economies into conformity with Islamic teachings. 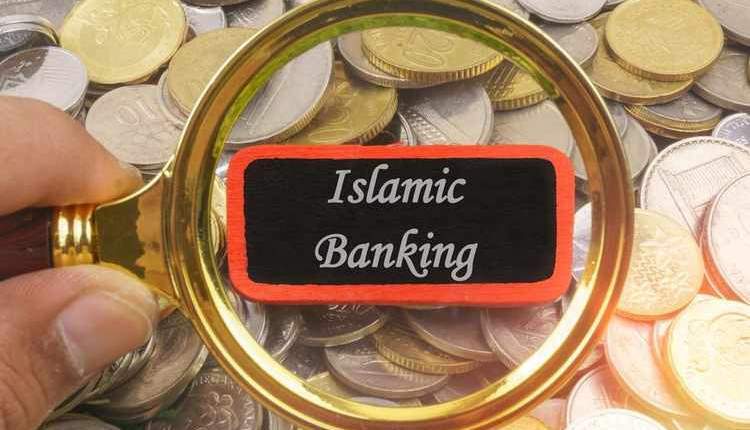 There are other writers who believe that adequate reforms in the conventional banking structure will enable Muslims to get rid not only of interest but all or most of the flaws of banking. In this article some of these proposals are critically examined. It begins with a look at the Time Multiple Counter Loan mechanism presented by Shaikh Mahmud Ahmad to replace interest as the basis of bank lending. Banks are very much an integral part of this proposal. Then, it takes up the recommendations of Muhammad Akram Khan to reform IFBs so as to bring them closer to Islamic teachings. Although banks do still find a place in the considerably reformed model, their role is a much changed one. Shaikh Mahmud Ahmad (d. 1989), the proposer of the concept of TMCL, was also one of the earliest proponents of the popular IFB model. His book Economics of Islam: A Comparative Study which was first published in 1947 contained a full chapter on Islamic banking. That chapter does not contain any mention of TMCL but proposes that borrowers, banks, and depositors should agree to share the results of businesses on a PLS basis — a concept that was the cornerstone of the theoretical model of IF banking. However, later he strongly opposed that proposal. The concept of TMCL was presented for the first time by the author in October, 1960 in thaqafat, an Urdu language journal of the Institute of Islamic Culture, Lahore. 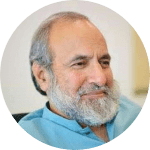 Later, he presented his ideas to the Panel of Economists and Bankers which was constituted by the Council of Islamic Ideology of Pakistan in 1977 to propose ways to actualise the objective of IF banking in Pakistan. Although the author himself was a member of the panel, his proposal was not accepted nor did his note of dissent appear along with the report of the panel. He published that note later in an Urdu book in 1986 (Ahmad, S.M. 1986, 7-8). The proposal was reproduced in an English book later in 1989. The author has claimed that TMCL is ‘the only concept available so far with whose help it is possible to introduce interest-free banking’. The TMCL model is based on the basic premise that in a loan arrangement not only is the amount of loan important but equally the duration for which it is lent. Thus, if the amount of any loan is multiplied by the period for which it is extended, the result would be a unit — loan value (LV) — which will be the measure of deprivattion of the lender as well as the measure of gain of the borrower. Thus an amount of £1000 for one year, for instance, has the same loan value as £100 for ten years i.e. 1000 LVs. In fact, there could be a large number of combinations whereby different amounts of a currency could be multiplied by appropriate units of time period to give the same loan value. Ahmad has proposed that borrowers should exchange equivalent loans with such combinations of amount and duration that the bank receives only a fraction of the amount it pays to the borrower, but receives it for such a multiple of time that, as a result, equivalent loan values are exchanged. The suitable fractions of loan and time for which loans are to be given should be decided by a government as a part of its monetary policy, keeping in view the exigencies of a given situation. Apart from the claim of eliminating interest from banks by exchanging loans of equivalent loan value, the proposer does not envisage any other substantial changes in the way banks function. He has not only supported the idea of requiring collateral security from borrowers but has suggested that a collateral of 110 per cent of the value of the loan should be demanded for all loans. In fact, he believes that the collateral margin can go higher than 110 per cent but should not be lowered to less than 100 percent. The author has admitted that in his model “loans cannot be advanced to people who possess neither the requisite collateral nor the requisite counter-loan”, and has pre-empted his response to such possible criticism which he believes is likely to originate from socialists by emphasising that “this is a model for a viable and profitable interest-free banking system and lays no claim to be regarded as a substitute for charity houses”. “Is there any reward for good other than good?” (Quran, 55:60). The concept of counter loans has been presented by some other scholars as well, the difference being that these others propose that the borrower should, after returning the principal to the bank, deposit the same amount with the bank for exactly the same duration as the period of his loan. Indeed, there can be no objection against this type of counter loan of equal loan value except for the fact that no remedy for erosion in the value of loan has been suggested in it. As regards the counter loans of equal loan values suggested by Shaikh Mahmud Ahmad, there are some other objections as well. Whereas the concept of TMCL is based on the premise that money ought to have time value, the Islamic prohibition of riba requires that money should not be allowed to have any time value at all. Consequently the TMCL proposal is contributing to resurrect exactly the same evil which Quran wants to see condemned to extinction. There could be no objection to lending interest-free loans to individuals provided such lending is not accompanied by a condition of counter lending. When a counter loan of smaller value is presented by the borrower for a longer duration, it creates the problem of uncertain business results for both the parties in the duration of loan. The proposer of the idea believes that the parties exchanging counter loans will exchange, in reality, equivalent possibilities of earning profits; whether they will actually do so will depend on the quality of their respective productive efforts. The proposer has, in fact, committed a crucial error in assuming that. In reality, differences in people’s achievements are usually attributable to two factors. The first is that people differ in their ability. The second is that although circumstances may appear similar, they are actually not, and there is some stochastic external influence which produces the diversity of outcomes. The essential distinction between these two is that in the first case people’s accomplishments are consistent over time, whereas in the second they are unrelated. If achievements in business were based on the first factor alone, there would not have been much justification in prohibiting interest, as investors could have given their funds to borrowers on the condition of fixed return knowing full well that they would earn a certain percentage of profit even after paying them interest. Since it is not known beforehand whether a business will flourish in a certain period of time or not, demanding fixed returns on capital is considered to be an immoral arrangement by Islam.a The proposal of exchanging loans of differing values and durations, therefore, far from being equivalent and fair, will turn out to be, in many cases, highly unfair. If the spirit behind the prohibition of riba is to be followed, then the proposal of TMCL cannot be considered acceptable to Islam. Even if the question of uncertain business circumstances is overlooked for the sake of argument, the prospects of achieving justice for both parties in the proposal by exchanging counter loans of equivalent loan values will be frustrated by the constantly changing value of currency. In an inflationary period — which is a rule rather than an exception in the modern times — the party that receives a smaller amoount for a longer duration will clearly be the loser since the real loan value of the money it will have over that period will be less than the real loan value of the money it will lend to the other party. Moreover, as mentioned earlier, the TMCL proposal envisages that borrowers will be required to advance a collateral of a value which is 110 percent of the loan and this value should in no case be less than 100 percent of a loan. In Islam security as a condition of loan is allowed only in circumstances when writing a contract in the presence of witnesses is not possible. The TMCL proposal which lays down the condition of demanding security from all borrowers cannot, ipso facto, be acceptable to Islam. Furthermore, the proposer of TMCL model concedes that the elimination of interest envisaged in his model is not intended to provide fair opportunities to all members of society. In his model, as in the case of commercial banks, funds cannot be presented to the poor at all; to the less rich too, the opportunity of getting loans as large as the rich is non-existent. For the one who, owing to his lack of affluence, cannot get loans from his proposed model of banks, Ahmad proposes that he should “seek a job, work hard at it, save necessary means of securing a loan, and then let him have the satisfaction of becoming his own boss [by getting a bank loan]. Till that happens, he has to content himself with a job which the market is prepared to offer to him”. 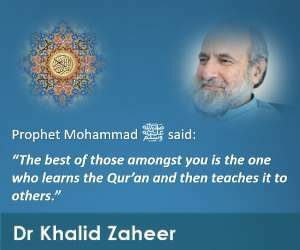 The fact is that any arrangement which provides additional wealth to the already wealthy by disregarding the deprived sections of a society is just the opposite of what Quran has desired in an Islamic society. The view of the proposer that his proposal of TMCL is approved by Quran is also unacceptable. His suggestion, for instance, that his proposed counter loans belong to the category of qarDay Hasan is based on an incorrect understanding of the term. The term qarDay Hasan has been used in Quran for spending to please Allah without expecting any worldly gains in return. Similarly unacceptable is his claim that his idea of exchanging equivalent loan values is supported by the following Quranic verse: “Is there any reward for good other than good?” (Quran, 55:60). If the context of the verse is considered to construe its meanings, then it is suggesting that Allah Almighty, after describing some of the blessings His faithful believers will get in the life hereafter, is informing the reader about the reason why they will get them. To do that, He has posed the question as to why He should not reward goodness for goodness? In other words He is asking the reader how he thinks it was possible for Allah not to reward the righteous. Clearly, the verse cannot be understood to support a scheme of exchanging loans whereby the parties are prompted by their respective self-interests. Muhammad Akram Khan (b. 1945) has proposed for commercial banks a new role along with his other proposals for elimination of interest from the Pakistani economy. Although the role of commercial banks is substantially changed in his proposal, the institution itself is retained, allowing it to carry on its traditional functions in a different, restricted way. These recommendations are preceded by the author’s analysis of the various long-term financing instruments used in Pakistan after the so-called Islamisation of banking in Pakistan. His conclusion is that the attempt at Islamisation of banking in Pakistan has failed, as most of the financing arrangements are still based on interest, although various terms are used to camouflage their interest-bearing nature. On account of that reason, he has presented his proposals which, if implemented, will, in his opinion, make the process genuinely Islamic. The recommendations of the author are divided into two main parts. In the first part he has proposed Islamic instruments for long-term finance. In the next one, he has described the institutions which he believes are necessary to make his proposed instruments effective. The author proposes that interest-free economy should have common stock as a popular mode of financing. He also pleads for revival of the scheme of Participatory Term Certificates (PTC), which were tried and abandoned in Pakistan, to replace interest-bearing debentures. These certificates were issued by business enterprises to financial intermediaries which financed those business organisations on the basis of those certificates for a definite duration. The author proposes that these certificates should not have any pre-determined return nor should they be allowed to be redeemed before due date. The certificates, moreover, should be tradable on the stock exchange. He has also proposed that mudaraba certificates (MCs) should continue to be patronised in Pakistan. These certificates are not different from common stock except that their sponsors are required to be a company registered under the Modaraba Companies and Modaraba (Floatation and Control) Ordinance 1980. This condition implies that only those businesses are allowed to float modarabas which are sound and whose business plan prospectus is approved by a Religious Board appointed for the purpose. Moreover, if 90 percent of the pre-tax profits for a year of the modaraba are distributed to their certificate holders, no income tax is required to be paid by the modaraba. The modaraba certificate holder is also exempt from tax on profits from modaraba. Likewise, Khan has proposed Leasing Certificates (LC), a new instrument, for leasing business. These certificates are to be issued by the companies needing assets on lease to banks or specialised financial intermediaries who would invest savers’ funds specifically entrusted with them for investing in leasing business. The financial intermediaries would act as agents of savers and would be entitled to a fixed commission paid once for each service. All profits or losses will be passed on to the leasing certificate holders who will assume all risks as lessors. The certificates will be tradable on the stock exchange. Similarly he has also proposed other instruments like Instalment Sales Certificates (ISC) and Mutual Funds Certificates. All these schemes involve banks and/or specialised financial intermediaries in such a way that savers are required to deposit funds with these institutions knowing full well that their funds are going to be invested in a specified form of business on the basis of profit and loss sharing. Financial intermediaries are to act as agents of savers and the certificates are required to be tradable on the stock exchange. In the second main part of the presentation, the proposal mentions the institutions which are necessary in the opinion of the proposer to actualise the scheme. Apart from other institutions, the author has proposed new roles for commercial banks and investment banks. The model of commercial bank proposed by him gives the institution the right to accept current accounts from depositors who will pay a fee for receiving the service of safe custody of their funds. The banks will provide short-term, interest-free loans to their depositors from these funds whereby the limit and period of loans would depend on the average balance held by a client throughout the year. Moreover, banks can invest a part of the funds from current accounts in safe investments provided they feel confident about their liquidity. Since they will invest these funds at their own risk, banks will be entitled to the entire profits and liable for any losses incurred. Apart from rendering other secondary banking services not involving interest, commercial banks will provide agency services to various types of savers for investing in the real sector. They will supervise and monitor operations of various businesses on behalf of savers and earn service charges for doing that. The implication of these suggestions is that banks will not be allowed to earn interest or profit by lending these funds to businesses at their own discretion without involving savers, as happens now. The only exception will be in the case of current accounts, where they will have limited opportunity to use funds at their own risk and will retain all profits. Besides commercial banks, the author proposes that a large number of investment banks be opened as well. These banks will collect household and corporate savings and act as agents or trustees to invest them in the real sector in consideration for agency fees. The only difference between these and commercial banks appears to be that the latter would receive current accounts and render the secondary banking services not involving interest like chequeing, remitting of funds, foreign exchange arbitrage, brokerage etc. The investment banks, on the contrary, would concentrate on investing funds in the real sector on behalf of savers. Muhammad Akram Khan’s scheme for elimination of interest from the Pakistani economy is not restricted to the proposals I have mentioned above. However, they constitute the more important part of his suggestions and, moreover, are directly relevant to this study. Rabooy’s proposal of creating an institution which he calls Islamic Intermediary Investment Company (IIIC) is not very different. He has proposed this institution because he too believes that the Western conventional banking system cannot possibly be adapted to make it Islamically acceptable. The IIIC he has proposed would link savers and entrepreneurs and would manage and control the financial affairs of their businesses. He suggests that IIIC be allowed to accept only one sort of account which could be traded and transferred among individuals and corporations like shares. The funds of this account should be invested in profit and loss sharing investments and the proceeds distributed amongst account holders, IIIC itself getting charges for its services. As regards Khan’s proposal of introducing interest-free financial instruments, little can be said in disagreement, apart from the condition of limited liability associated with shares. Indeed, it seems perfectly legitimate to have common stocks and similar instruments which give the bearers of certificates a right to participate in the ownership of businesses proportionate to the value of their shares. There is nothing wrong in allowing shareholders to sell their shares in a secondary market if they wish, just as partners in a partnership firm should be allowed to sell their interest in the firm to another party provided the other parties agree to the arrangement. In the case of common stock of joint stock companies free trading of shares by the shareholders is allowed by other shareholders by implication. Moreover, shareholders participate in profits and losses of the business too in that when the company is doing good business they receive dividends as well as, on many occasions, a higher value in the stock market; if the business runs into losses, they do not receive any dividends and the value of their shares goes down. The shareholders are able to participate in the affairs of the business not only through their voting right but they can also indirectly influence the management by the potential threat of selling the shares in the stock market and bringing down the stock prices, thereby putting pressure on the business management. As regards the limited liability of shares, the condition is unacceptable to the Islamic teachings which expect owners of businesses to take absolute responsibility of the loan they take in case of default. In the case of joint stock companies that requirement would entail that shareholders ought to be responsible to the creditors for all the loans taken by the company even beyond the face value of their shares, proportionate to their respective share holdings. In the context of Islamic teachings, however, that condition would not alarm the shareholders, since, in that context, borrowing by businesses, if any, would be far more limited. Moreover, the increased responsibility is likely to make shareholders more involved in the affairs of the business of their companies, which will be a welcome development. The proposal of the author to introduce redeemable stocks — Participatory Term Certificates (PTC) — is also unacceptable. One of the objections against the popular IFB model is that they have confused the distinction between debt and equity. Whereas interest is the return a lender gets on debt, legitimate profits are earned by owners of a business who have invested an amount in a business and bear the risk of losses. When an investment is temporary i.e. not intended to stretch over the lifetime of the project and yet participates in the returns of the project, it seems to be neither debt nor equity. Such arrangements can at best be described as doubtful if not completely forbidden. The reason why temporary participation needs to be condemned is that it creates a debt-like situation whereby the owners and management are under pressure to return the amount apart from what they have already given as profits. On the contrary, the creditors will not be fully interested in the project because of their temporary participation. In a truly Islamic economy such temporary arrangements would only serve to create riba-like situation which would serve the interests of those rentiers only who would not like to take full responsibility of a business project. After all why should not investors participate fully in a project with the intention of staying with it over its lifetime? The sort of security which temporary investments seek to provide to capital is the very opposite of the objective of the Islamic teachings which expect capital to take most of the risk. If investors are in need of liquidating their share in the business at some later stage, they should be allowed to do so at their own risk. Khan’s proposal to reduce the function of banks to agency services for savers is based on the true spirit of Islamic teachings. Indeed, most flaws of banking emerge from the fact that they are entrusted with huge funds by savers to be used almost at will. Whereas banks wield tremendous economic power, savers are kept completely in the dark about the whereabouts of their funds. By confining the role of banks to that of agents of investors, the author has attempted to remedy the problem from the right place. Indeed, if savers are given full responsibility to choose their preferred business and invest their money, banks would lose all the unreasonable advantage they enjoy today. In fact, in that case banks would completely change their role and would, perhaps, have to be called by a different name. Although Rabooy’s model prevents the financial institution from getting a share from the profits of savers’ funds, yet it allows the institution considerable, if not total, liberty to invest available funds within Islamic limits. That liberty would confer upon the institution a financial power which is the cause of many evils if improperly used. I, therefore, propose that these institutions should not be given the right to invest funds at will. The proposal of Muhammad Akram Khan makes a significant concession to commercial banks when it allows them to use funds at their disposal from current accounts at their own risk with all returns to be retained by them. If the author is keen to restrict the powers of banks, however, the concession is not appropriate. Indeed the proposer has suggested measures to restrict the financial liberty of the banks by suggesting strict supervision by the central bank to ensure that banks’ investments are safe and by suggesting that banks should not be allowed to invest beyond the limit of their own equity capital. If these measures are strictly implemented, it will only restrict the evil instead of completely eliminating it. The ability of banks to use savers’ funds at their disposal wherever they choose to is the root cause of many evils of banking. Perhaps the author fears that if even that ‘limited’ right of banks to use savers’ funds is withdrawn, then no real incentive would be left for these institutions to carry on doing business. That fear is perfectly justified. A theorist should, however, look for the best solutions to remedy the problems at hand rather than look for lesser evils. If banks do not solve the problem of economic injustice in an Islamic society, they should be wrapped up instead of being allowed to continue to do whatever limited damage they can. The proposal of the author that commercial banks should provide interest-free loans to depositors in a way that the duration and volume of loans should be based on the average annual balance held by the borrower is also unacceptable to the spirit of Islamic teachings of economic justice. If depositors have sufficient funds, they should use their own funds to satisfy their needs. If they want funds in addition, they should either exploit their own contacts for the purpose or involve other parties in PLS contracts. They have no right to get funds belonging to others and that too in proportion to their relative wealth. Few things can be more unacceptable to Islam than the suggestion that the privileged sections of the society should be helped to get more privileges simply because they are rich. Moreover, providing any incentive to a creditor is similar to riba according to sunnah of the prophet. In conclusion, it could be said that whereas Muhammad Akram Khan’s proposal does contain many useful suggestions, there are still some objectionable aspects of the traditional financial system retained which do not fit into the ideals of Islamic economic teachings. a. Knight has argued that where uncertainty is absent, the imputation of product values to product services will always be perfect and exhaustive, and profit will be absent except stochastically.